and hope everyone stay healthy. When unexpected scandals arise unlike my personal desire of wanting to pass on only the good news, I feel very sorry for the fans who would’ve worried. I feel like an unexpected scandal is like a sudden rain shower pouring from the clean sky. YG Entertainment has controlled and managed all activities regarding artists through exclusive contracts, and has updated and modified its contracts and management system to prevent the reoccurrences of accidents and mistakes. Also, the agency has been doing its best to emphasize what to be cautious about through many conversations with the artists, advised, educated, and consistently checked upon to prevent scandalous events from ever happening. However, like the old saying, ‘bad news travels fast’,it is extremely difficult to be cautious and prepared on groundless scandals passed on from mouth to On the scandal regarding SEUNGRI’s club, I wanted to respond as fast as possible after ascertaining and verifying facts, but it was uncertain whether YG should announce an official statement since the private businesses operated by artists have no relationship to the agency, and there have been difficulties in ascertaining and verifying facts. That is, I myself have never visited the according club and had no idea on even who the related officials of the club are, so there wasn’t a clear way for me to ask the details or verify the facts. The only person I can ask is SEUNGRI. I have checked that SEUNGRI was at the scene until 3 AM on November 24, the date of the accident, while the outbreak happened that day after 6 AM. The reason why SEUNGRI resigned from the club’s board member status is to abide by the laws regarding his upcoming military service, as SEUNGRI is soon to be enlisted on March or April as an active soldier. According to Article 30 of the Fundamental law on the status and service of soldiers, “A soldier cannot serve duties with a goal of generating profit besides his duties regarding military affairs, and cannot serve additional duties which have not been authorized by the Minister of National Defense”. It specifically states that, “The law forbids military personnel from serving as a partner with limited liability, manager, initiator, or other forms of board member who processes audits or operates an enterprise”. Due to the law, it has been verified that SEUNGRI is in the process of resigning from all CEO and board member positions in not only the club, but also other enterprises he is registered on. SEUNGRI himself is deeply apologetic towards the fans who may have been worried due to the occurrence of this event and was about to reveal his position with words of apology, but I told him to put it on hold for a while. I thought that it would be better to define his position after the incident was examined more clearly in detail through investigation. The current situation seems to be focused on demanding drug tests which are irrelevant to the assault case. For the fans who may be worried, I will state some brief facts. SEUNGRI has recently been heavily examined by the prosecution with a search and seizure warrant due to numerous groundless reports, and it has been clearly verified that he is clean through all tests including urine and hair examinations. 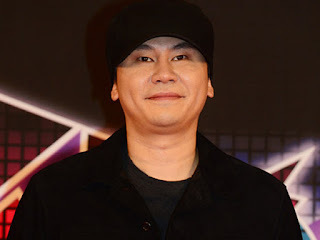 and will come back with joyful news regarding the new releases of YG artists including news on BLACKPINK’s upcoming single, the selection criteria and debut plans of YG TREASURE BOX, WINNER, and iKON.